Renee Bouley, a third year graduate student in the Department of Chemistry and Biochemistry, has been selected to receive a prestigious American Chemical Society (ACS) Division of Medicinal Chemistry Predoctoral Fellowship. 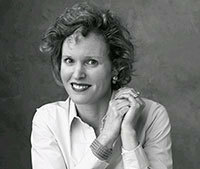 Bouley is one of only four recipients chosen for the 2013-2014 cycle. This award supports doctoral candidates working in the area of medicinal chemistry who have demonstrated superior achievements as graduate students and who show potential for future work as independent investigators. These fellowships have been awarded annually since 1991 and include one year stipend support and an invitation to present the fellow’s research results at a special awards session at the ACS National Meeting. University of Notre Dame biologists are reporting the development of an easy-to-use, low-cost method of detecting dengue virus in mosquitoes based on gold nanoparticles. 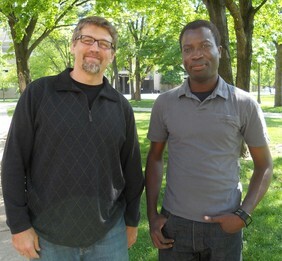 Their research is published in the Virology Journal this week. The assay they have developed is able to detect lower levels of the virus than current tests, and is easy to transport and use in remote regions. Marya Lieberman, associate professor of chemistry and biochemistry at the University of Notre Dame, and her collaborators have recently published results that show the effectiveness of an inexpensive paper test card that could fundamentally change the balance of power between pharmaceutical buyers and sellers in the developing world. Physics major Patrick Fasano, a rising sophomore at the University of Notre Dame, is spending his summer as an intern at the Cosmic Ray Division (CRD) of the Yereven Physics Institute in Yerevan, Armenia. Congratulations to Geoffrey Siwo, a doctoral candidate in the laboratory of Eck Institute for Global Health member Michael Ferdig, PhD, as more accolades are bestowed upon him. Siwo was selected for a 2013 entrepreneurial summer program at Singularity University, an institution founded by NASA, Genentech, Autodesk, Google, Nokia, Cisco, Kauffman Foundation, and ePlanet Capital. Their mission is to educate, inspire, and empower leaders to apply exponential technologies to address humanity’s grand challenges. His participation in the program will be at NASA's Silicon Valley campus and is supported with a full scholarship for 10 weeks. Siwo is one of only 80 people from 38 countries invited to participate in this exclusive program out of over 3000 applicants. M. Sharon Stack, Ann F. Dunne and Elizabeth Riley Director of the HCRI and professor of chemistry and biochemistry, points out that oral cancers are a significant global health problem. Stack and Hsueh-Chia Chang, Bayer Professor of Engineering and director of Notre Dame’s Center for Microfluidics and Medical Diagnostics, are attempting to prescreen for oral cancer and HPV by examining the micro-RNAs of tumor cells. They are working on developing a microfluidic sensor to help detect the presence of tumor cells. Richard Taylor, professor of chemistry and biochemistry, has been appointed to the position of associate vice president for research. He will begin his new role on July 1. 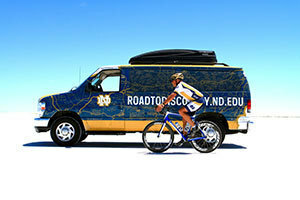 Gregory Crawford, dean of the College of Science at the University of Notre Dame, will be embarking on his fourth annual bicycle ride on June 27 (Thursday) to raise funds for research to find a cure or treatments for Niemann-Pick Type C (NPC) disease. He will be biking 3,476 miles from Los Angeles to Baltimore and will arrive on Aug. 2. By the end of this year’s journey, he will have biked more than 11,200 miles to raise awareness for the rare genetic disease. A new study by a team of researchers from the University of Notre Dame provides an important new insight into how cancer cells are able to avoid the cell death process. The findings may reveal a novel chemotherapeutic approach to prevent the spread of cancers. Metastasis, the spread of cancer from one organ to other parts of the body, relies on cancer cells’ ability to evade a cell death process called anoikis, according to Zachary T. Schafer, Coleman Assistant Professor of Cancer Biology at Notre Dame. 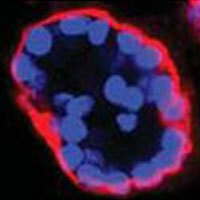 Metastasizing cancer cells are able to block anoikis, which normally results from detachment from the extracellular matrix. However, Schafer notes that the molecular mechanisms that cancer cells detached from the extracellular matrix use to survive have not been well understood. Some 75 researchers and family members from around the world attended the Michael, Marcia, and Christa Parseghian Scientific Conference for Niemann-Pick Type C on June 13-15. The event included more than 20 scientific presentations, posters, events for families, and shared receptions. 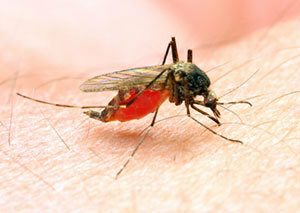 An international team of researchers from the University of Notre Dame’s Eck Institute for Global Health and Imperial College London has recently published its work on a malaria-filaria co-transmission model, where the same mosquito transmits both diseases together. Found in large areas of sub-Saharan Africa, one mosquito genus, Anopheles, carries both the malaria parasite Plasmodium falciparum and the microfilarial worm Wuchereria bancrofti, which causes lymphatic filariasis, which can develop into elephantiasis. The Eck Institute for Global Health is hosting the 2013 Arthropod Genomics Symposium and VectorBase Workshop Wednesday-Saturday (June 12-15) at McKenna Hall at the University of Notre Dame. More than 225 researchers from around the globe will gather to discuss current and future research. The researchers who are presenting are at the forefront of genomic approaches to arthropods, both model organisms and those of agricultural or health relevance. Some will share methods for developing tools for genomic analysis. The symposium will be broken into sessions including emerging genomes, epigenomics, systems biology/population genomics and ecological genomics/metagenomics. The event includes a vendor fair and two poster sessions where more than 125 posters will be presented. Michael Vella, a rising applied and computational mathematics and statistics major, has been selected for a highly competitive Research Experience for Undergraduates (REU) program at the National Institute for Mathematical and Biological Synthesis (NIMBioS) at the University of Tennessee, Knoxville. Thirty-two researchers from universities and institutions around the world will present their latest research findings at the 2013 Michael, Marcia and Christa Parseghian Scientific Conference for Niemann-Pick Type C Research on June 13-15 (Thursday-Saturday) in the Jordan Hall of Science at the University of Notre Dame. The three-day conference is split into seven sessions with international representatives from the Netherlands, Germany, France, New Zealand, Chile, Hungary and Switzerland, as well as researchers from Stanford University School of Medicine, Harvard Medical School, Albert Einstein College of Medicine, Weill Cornell Medical College, Scripps Research Institute, the National Institutes of Health and many other universities and institutes. An international conference with some 80 participants on June 3-7 completed the Center for Mathematics at Notre Dame’s thematic program, Motivic Invariants and Singularities. The program included a week of summer school for undergraduates and another for graduate students and postdoctoral associates before the conference. Nero Budur, who came to Notre Dame six years ago, organized the event with François Loeser of the University Pierre and Marie Curie in Paris and Mircea Mustata of the University of Michigan. Robert V. Stahelin, adjunct assistant professor of chemistry and biochemistry at the University of Notre Dame and associate professor of biochemistry and molecular biology at Indiana University School of Medicine-South Bend (IUSM-SB), has been selected as one of four inaugural Showalter Scholars at IUSM. Research being presented at two international conferences this summer demonstrates that breast cancer survival improves when a patient’s depressive symptoms—a common occurrence among cancer patients-- are detected and addressed. The study, by Rudolph M. Navari, MD, Ph.D., FACP, at the University of Notre Dame and associate professor and dean of the Indian School reports on the experiences of some 200 breast cancer patients five years after their initial diagnosis of early-stage breast cancer and the detection of depressive symptoms in the wake of their diagnosis. The research is being presented at the annual conference of the American Society of Clinical Oncologists in Chicago June 2 and at the annual meetings of the Multinational Association of Supportive Care in Berlin, Germany on June 29. Navari is an adjunct professor of chemistry and biochemistry at the University of Notre Dame and associate dean and director of Indiana University School of Medicine-South Bend. Three Notre Dame Science alumni participated in a panel discussion, “From ND Labs on Campus to Life in the Real World: How Notre Dame Scientists are Making a Difference,” on June 1, during Alumni Reunion Weekend. The Eck Institute for Global Health sponsored the gathering, moderated by Mary Ann McDowell, a member of the institute and an associate professor of biological sciences. Participants were Dr. Kevin Olehnik (’78), Chief of Surgery at Penobscot Bay Medical Center in Rockport, Maine; Dr. Mary Oconnor (’83), an internist and pediatrician at Everett Clinic in Seattle, Wash.; and Dr. Michael C. Dugan, (’83), chief medical officer at bioTheranostics Inc. in San Diego, Calif. 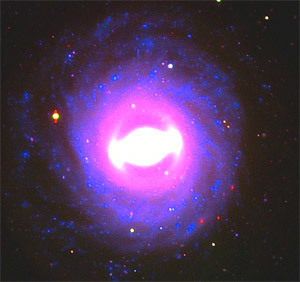 They came to Notre Dame in the late 1950s, in the wake of Sputnik, with a sky-high U.S. commitment to science education and the University of Notre Dame already recognized as a leading center for physics research. Ten members of the Class of ’63 returned for Alumni Weekend, their 50th anniversary, for a tour of Jordan Hall of Science, the Museum of Biodiversity and the Digital Visualization Theater, and the new nuclear accelerator in Nieuwland. 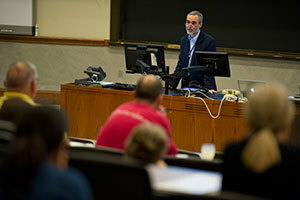 The Center for Mathematics at Notre Dame (CMND) hosts an annual thematic summer school program each year. A total of 36 students from universities across the United States and abroad, attended this year’s undergraduate session held May 20-24. This theme for this year’s program was motivic invariants and singularities. Researchers at the University of Notre Dame Radiation Laboratory have developed a synthesis method to “drill” holes in reduced graphene oxide using gold nanoparticles as catalysts. This method represents an alternative to the tedious process of drilling one hole at a time with an electron beam or other methods using high temperature without the advantages of post-processing solution chemistry. Graduate student James Radich and Prashant Kamat, the Reverend John A. Zahm Professor of Science in Chemistry and Biochemistry, published their findings, “Making Graphene Holey. Gold-Nanoparticle-Mediated Hydroxl Radical Attack on Reduced Graphene Oxide,” in ACS Nano this month. Jordan Scott, a Univerrsity of Notre Dame graduate student working with Rob Stahelin, won a Best Poster Award during the annual meeting of the American Society for Biochemistry and Molecular Biology in Boston in April. The University of Notre Dame will host the XIV International Workshop on Molecular and Cellular Biology of Plasminogen Activation from June 4 through June 8 (Tuesday through Saturday). The co-chairs of the conference are Francis J. Castellino and Victoria A. Ploplis of Notre Dame’s W. M. Keck Center for Transgene Research. The conference is co-sponsored by the Indiana University School of Medicine-South Bend and Memorial Hospital of South Bend. The plasminogen activation system and related proteolytic systems are essential regulators of tissue remodeling events as well as of cell functions through activation of cell signaling pathways. Through early studies involving in vitro biochemical investigations and, more recently, in vivo biological studies involving gene modified technology, the plasminogen activation pathway has been identified as a major participant in the regulation and progression of a number of clinically relevant human diseases. These include cancer, cardiovascular diseases, neurological pathologies and bacterial pathogenesis. The National Science Foundation has funded an International Research Experiences for Students (IRES) program that will support 12 Notre Dame Ph.D. students to do research at any of three laboratories in Sweden. Paul Helquist, associate chair for research in the Department of Chemistry and Biochemistry, is principal investigator for the project. The award is for nearly $250,000.